Reel Life Entertainment Pvt. Ltd. in association with Vinay Pictures announces a biopic film on the life of eminent mathematician of Bihar, Dr Vashishtha Narayan Singh. 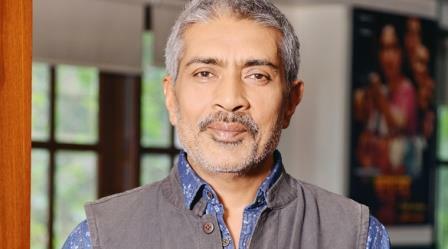 Prakash Jha has confirmed that he will direct the film which will be produced by Vinay Sinha and Priti Sinha and co Produced by Namrata Sinha and Amod Sinha. Confirming the same producer Vinay Sinha says, "I have been reading about and tracking the life of Vashishtha Narayan Singh since many years. His is a story of tremendous highs and lows and now we are all set to produce a film on him. I couldn't be happier." Talking about same producer Priti Sinha says, "I share my father's deep interest in the life of the genius Vashishtha Babu and that's why I am keen to make the announcement of our film to coincide with my father's birthday, which is today. And to make the announcement even more exciting, Mr Prakash Jha has agreed to direct our dream project." Prakash Jha says, "Dr. Vashishtha Narayan Singh, the brilliant mathematician from Bihar is our national treasure. His life is so inspiring, I would love to direct a biopic on him." Cast and crew of the film are being finalized and talks are on with a lead actor to play Vashishtha Babu's role.